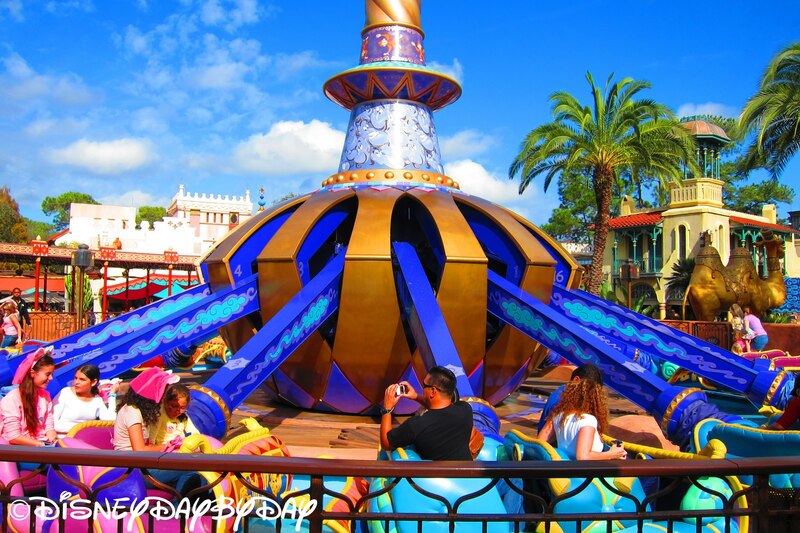 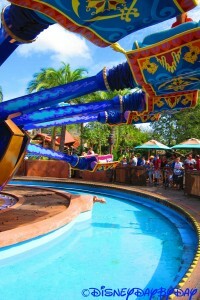 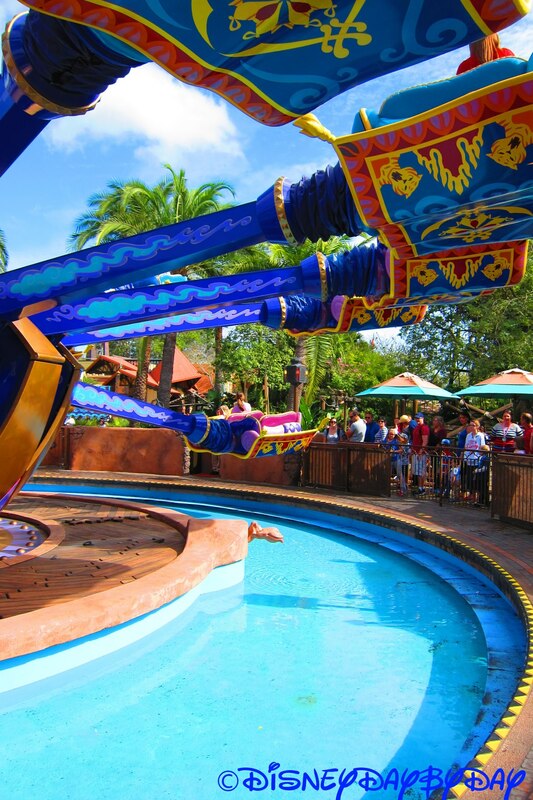 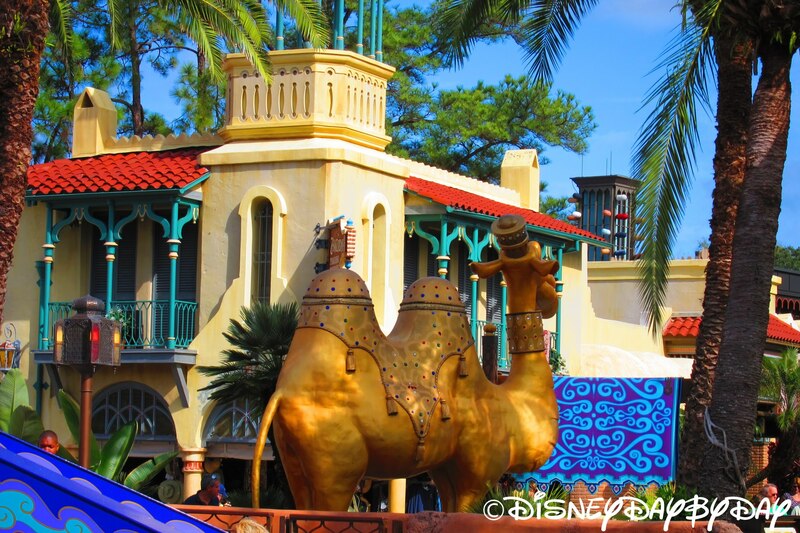 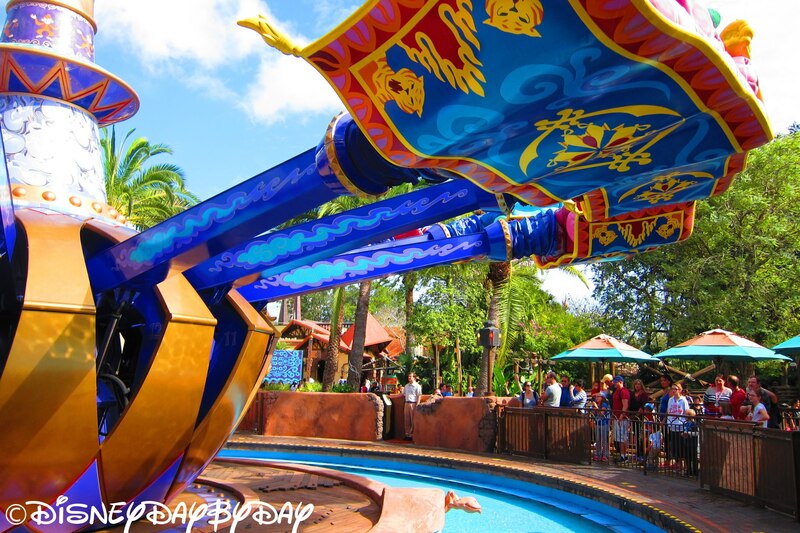 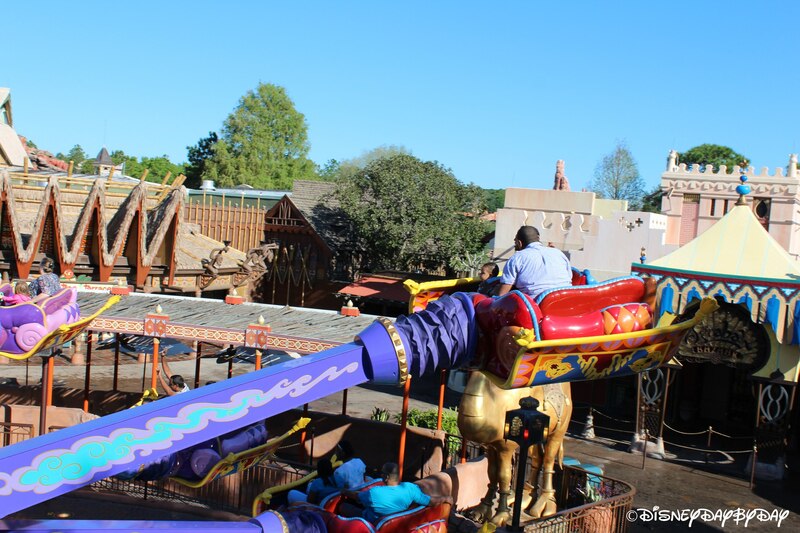 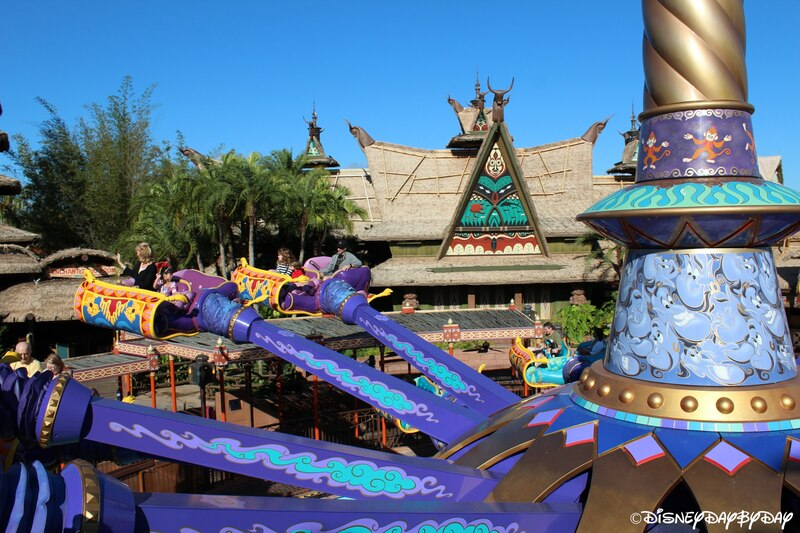 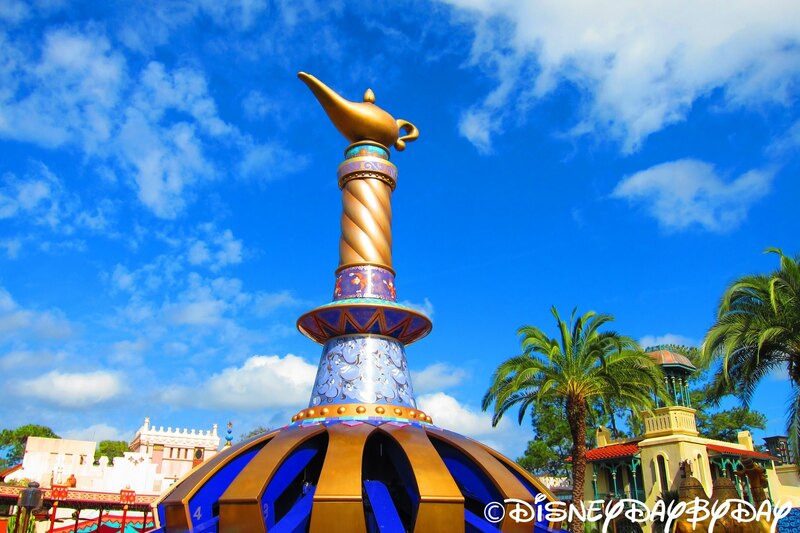 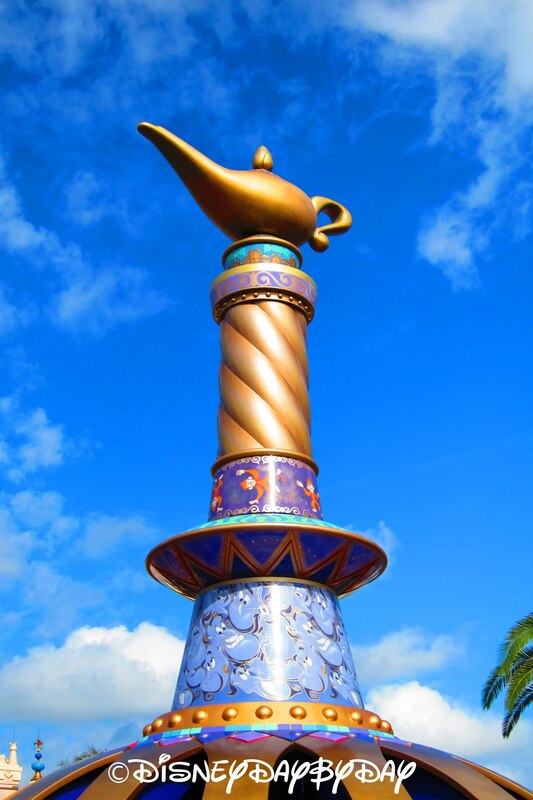 Prepare to fly over Adventureland on The Magic Carpets of Aladdin! 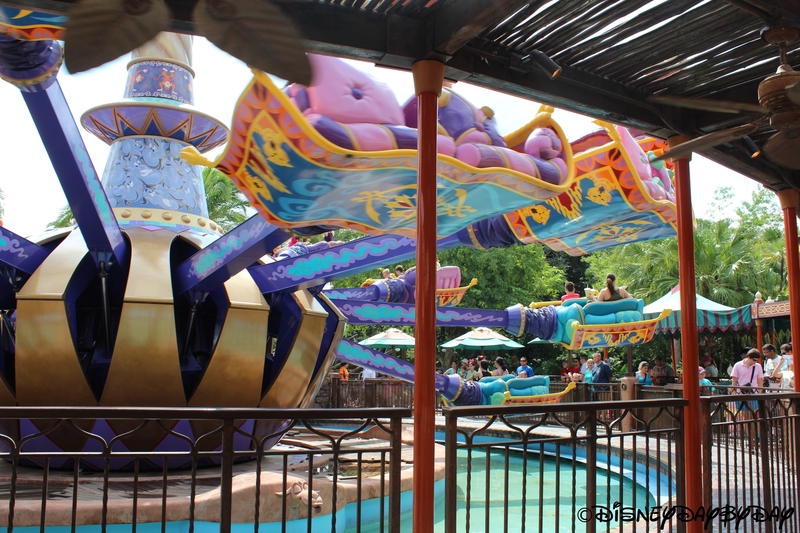 This is a simple ride with each magic carpet seating up to four. 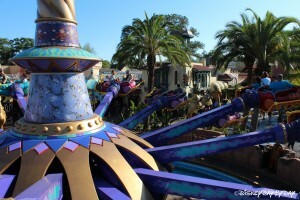 Sit in the front seat to control the height of the carpet, and in the back to control the carpet tilting back and forth. 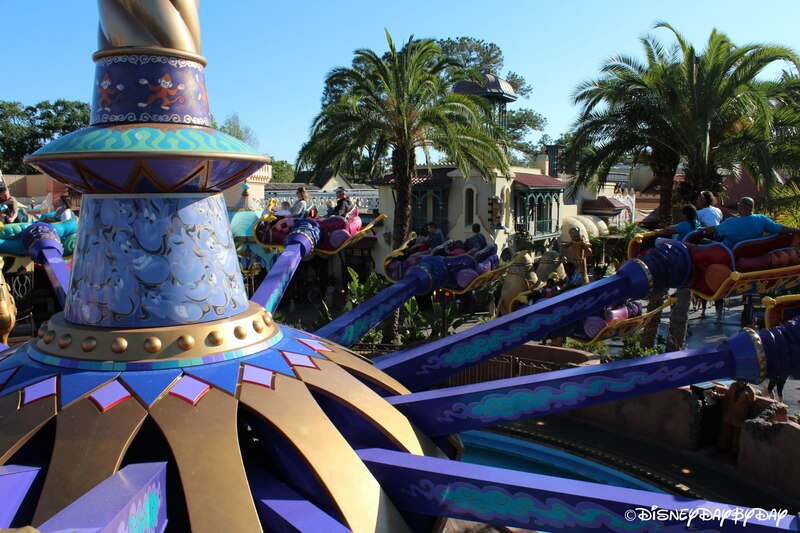 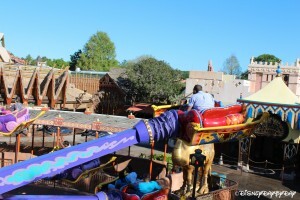 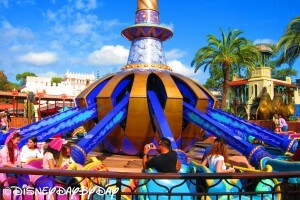 Like Dumbo and Astro Orbiter, The Magic Carpet is attached to an arm that goes in a circle. 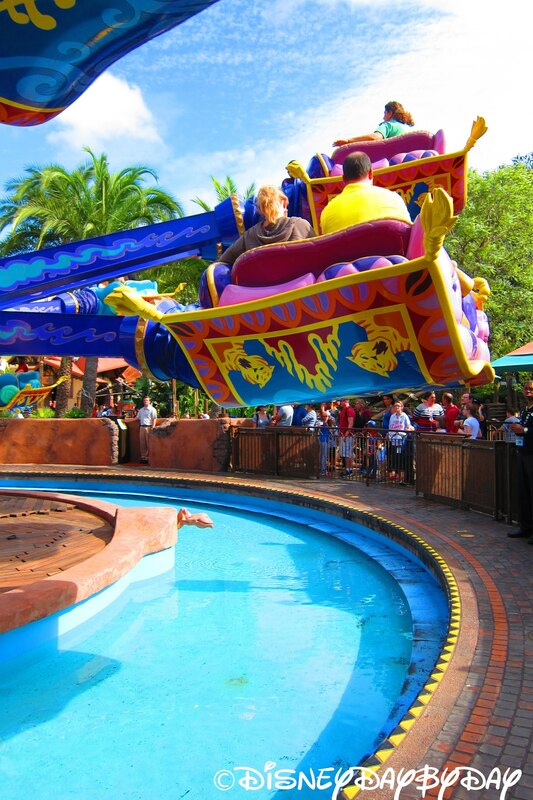 Children will enjoy the fact that they can be in control, andyou’ll get a great view of Adventureland from the sky! Tips: watch out for that pesky Camel who likes to spit at people who fly by! While standing in line, search the ground, you just might find a treasure or two. 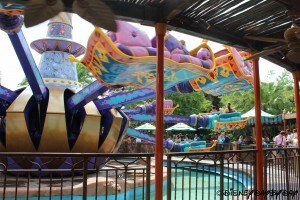 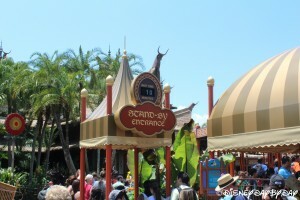 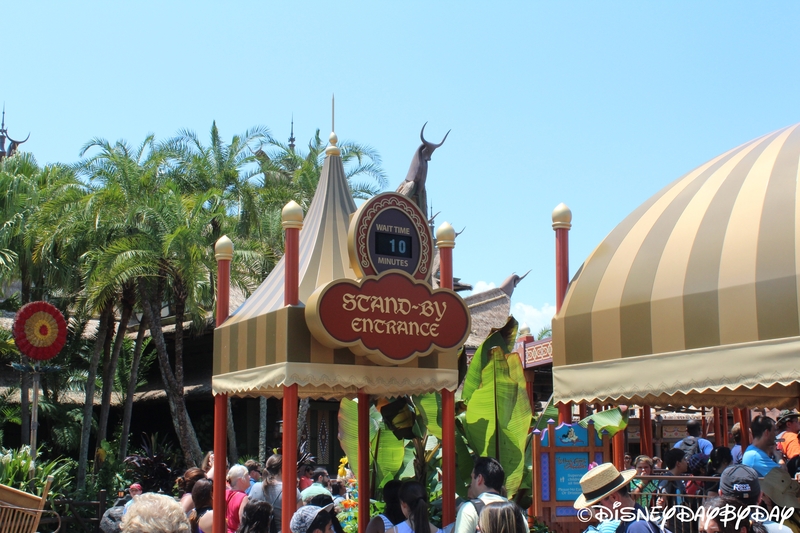 Line is usually a lot shorter than Dumbo so head on over and tell the kids to use their Disney Imagination.